Speakin' Geek: A second time,'The Hobbit; An Unexpected Journey'. 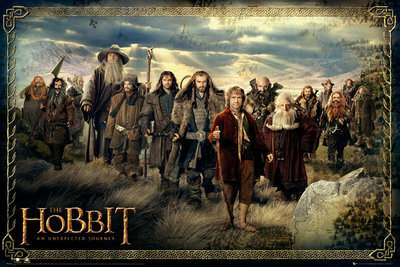 A second time,'The Hobbit; An Unexpected Journey'. 'The Hobbit; An Unexpected Journey'. Just a bunch of lads having the craic. 10 years on and 'Lord of The Rings' is still fresh in my mind, helped by a large quantity of re-watching. When it was all over the nerd world over let out a huge sigh of relief, a trilogy that was excellent from from beginning to end. There was no 'Spiderman 3' dance scenes, no X-men; The Last Stand' Juggernauts. When the final, final scene ended, I was in tears. I remember the books fondly as a child and this film series will stay with me, close to my heart. Was there a need for another trip into Middle Earth? Lets find out with my second look. 1 hobbit, 13 dwarves, 1 wizard and they're all off to fight a dragon. If I try to go into any detail about the plot we'll be here for a long time, much like trying to remember every dwarf name. Which is really hard by the way. Right, the good, Martin Freeman is an absolute wonder as Bilbo Baggins, originally it was going to be Ian Holmes again as the diminutive hero but Jackson decided against it. Keeping Ian Holmes as the elder Baggins, which works out fine in my opinion. The dwarves are absolutely brilliant, they bring humour to the film which 'The Lord of The Rings' trilogy sorely lacked. Richard Armitage in particular as Thorin Oakenshield, a character so angry and so complex that he rivals the character Vegeta,from 'DragonballZ' which is just really great. The execution of the score is just superb and the battle scenes are just on such a huge scale. Not the same kind though as the previous trilogy, more of an emotional scale, it's just raw and visceral and fantastic. Going right into this my mind flies straight to the portrayal of the dwarves, there are 13 dwarves, each one unique emotionally, but in the book are described as indistinguishable from each other physically. I understand why Jackson did this, but the purist in me screams, that's not what I imagined! 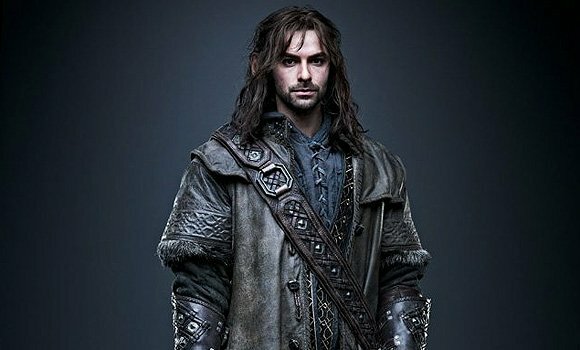 That brings me to a hilarious point about 'Kili' the dwarf, our very own Aidan Turner from Dublin. I got to talk to him on the red carpet premiere and the man is very much a humble and cool guy, but back to my point. Look at Kili,does he look like a dwarf, no!? He looks like a freaking elf?! It's stated that he spends the least time in makeup and it shows. Are we honestly supposed to believe he is a dwarf, come on!? Apart from one or two of the dwarves, they don't get enough back story which is unfortunate but it is the first of a trilogy so we should wait and see I guess. The last problems include the camera, if you go to IMAX you will feel a little queasy at times, I have heard this problem arise due to the 48FPS and finally some people feel that there are too many villains. I kind of feel the same, but I have been told that the villains in this film, that have been introduced, are actual villains with rich back stories, so that'll hopefully pan out. That is not a dwarf.